Inspired by the creative development of haute couture, students will develop a body of bespoke samples and design reference material for innovative felt accessories and fashion garments. Students will craft a unique fashion item; experienced felt-making/sewing skills are required. This essentially individual approach encourages students to develop new skills within a wide creative context, working from set design briefs and customising couture patterns. Techniques will include nuno felt, pleating, shibori resist, 3D manipulation, colour blending, pre-felts, lamination, cutwork, collage, introductory pattern cutting and toile preparation. Quietly understated or wildly sensational – innovative concepts in couture design to enrich the felt-making portfolio! British textile artist Liz Clay is an Internationally renowned felt maker whose studio practice specialises in haute couture fabric development.Commissions include Balenciaga, Givenchy, Mina Perhonen, Stella McCartney, featured in Vogue and specialist textile publications worldwide. 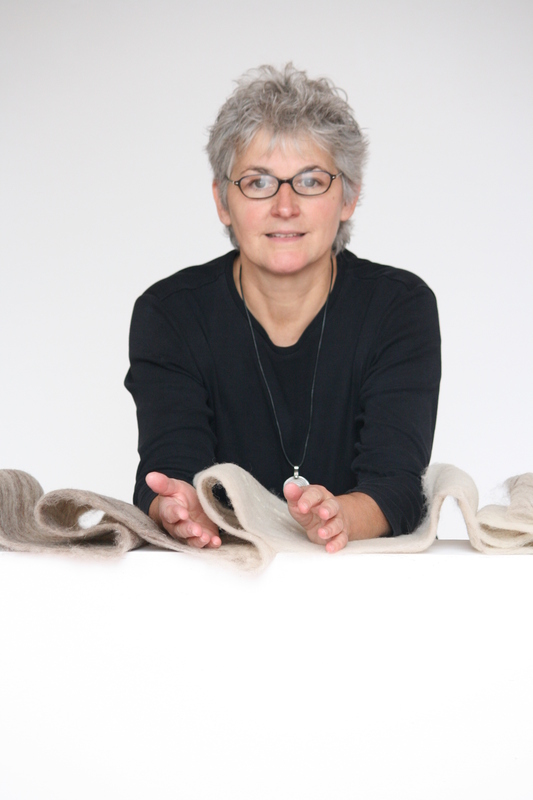 Experienced educator, researcher; her PhD investigates fine craft felt making. Fellow of The Society of Designer Craftsmen and author of Nuno Felt, her work is held in public collections including the London Crafts Council and Bradford College Textile Archive.